First of all, Excel Student Taxis Service Liverpool will go out of its way not to let you down!! Excel cover all student bookings whether it’s short or long distance journey Excel will take you almost everywhere! Furthermore, with a fleet of over 200 vehicles, a taxi will be at any University campuses or accommodation in Liverpool within no time! Therefore Excel has to be your number choice to get around the city! Excel use a state of the art intelligent dispatch system that recognises your phone number. This ensures in busy periods regular customers gain a priority service. The staff at our call centre are friendly and helpful if you are lost and are not quite sure where you are they will go out there way to find you. The booking app is available in the App Store and Google Play. All app customers and customers who book on a Regular basis all receive a priority service. EXCEL PRIVATE HIRE IS THE ONLY TAXI COMPANY ANY STUDENT IN THE CITY NEEDS TO HAVE SAVED IN THEIR MOBILE!! After hour clubs in Liverpool stay open till around 7am over the weekend and most of Liverpool’s bars till 4am in the morning. It’s becoming more and more common for Liverpool’s bars to open at 11pm and close at 4-6am. 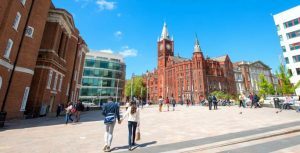 Ideal for Liverpool’s student community you can all party in the halls before going out and not worry about missing out on anything. 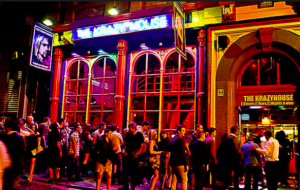 Liverpool is packed with bars and nightclubs all within walking distance of one another. What does this mean? It means you don’t have to jump in and out of taxis all night like you do in most big cities to find Liverpool’s best bars and nightclubs, everything is just there, literally. But be safe in the knowledge when you have finished partying Excel will be there when you need taking home safely.